(CBS News) Apple and its main supplier Foxconn have agreed to share the cost of improvements to be made at the factories that manufacture iPads and iPhones. Foxconn chief executive officer Terry Gou confirmed the agreement with Reuters Thursday. "We've discovered that this (improving factory conditions) is not a cost. It is a competitive strength," Gou told Reuters Thursday at a ground-breaking ceremony in Shanghai. "I believe Apple sees this as a competitive strength along with us, and so we will split the initial costs." Both Apple and Foxconn have been under media scrutiny following a series of events that raised questions about the working conditions at the factories in China. In January, 300 employees working on Microsoft Xbox 360 consoles threatened mass suicide. The same factory had similar threats in April, when 200 employees threatened suicide amid protests over wages. In the same month, the public radio program "This American Life" broadcast a show featuring American monologist Mike Daisey's harrowing account of poor working conditions. The show was later retracted because of fabrications in Daisey's report. "We care about every worker in our worldwide supply chain," Cook said in an email to Apple employees in January - responding to allegations the company did not take a strong stance against poor working conditions at Foxconn. "Any suggestion that we don't care is patently false and offensive to us," Cook continued. Apple entered a partnership with the Fair Labor Association (FLA) in January - the first technology company to join the association as a participating company. In doing so, the company agreed to uphold the FLA's workplace code of conduct throughout their entire supply chain. 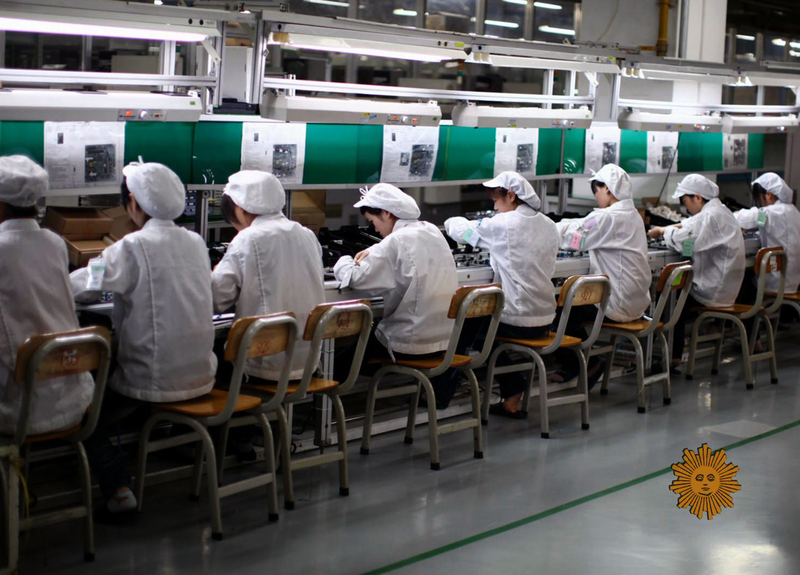 "The Fair Labor Association gave Apple's largest supplier the equivalent of a full-body scan through 3,000 staff hours investigating three of its factories and surveying more than 35,000 workers. Apple and its supplier Foxconn have agreed to our prescriptions, and we will verify progress and report publicly," Auret van Heerden, FLA president and chief executive officer, said in March. Three Foxconn factories were scrutinized by the FLA: Guanlan, Longua and Chengdu (the infamous factory at the center of the New York Times expose). Because of the nature of Apple's affiliation with the FLA, the company has two-years to comply with FLA standards. Foxconn has agreed to meet legal requirements by July 1, 2013. While Apple is at the center of the controversy, the changes at Foxconn will be made across the board, a spokesperson for theFLA told CBS News in March. Meaning, the improved working conditions will also affect factories that manufacture electronics for companies like Microsoft, Amazon and Dell. According to Reuters, it's "unclear if the split would be 50/50 or in some other ratio."